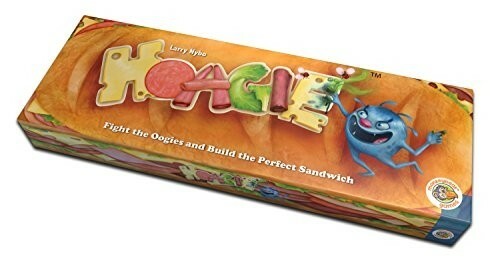 Hoagie, a card game of sandwich building fun. AN ADDICTING FAMILY GAME. Kids and adults learn to play in minutes for hours of hilarious fun. HILARIOUS ARTWORK. Hoagie features a double deck of cards with fun artwork that makes kids laugh. Great artwork is the mark of fun card games. A GOOFY KITCHEN ADVENTURE! Players compete to build the perfect hoagie sandwich while spoiling the ingredients of other players. This fun and simple concept marks Hoagie as one of the favorites among kid games. A FUN FAMILY GAME FOR BOTH KIDS AND ADULTS! Hoagie is simple enough for kids but fun enough for adults to play, making it one of the most fun family games. HOAGIE, A GAME KIDS LOVE! Card games for kids should be fast moving, simple, and easy to learn. Hoagie comes in strong on all three counts. 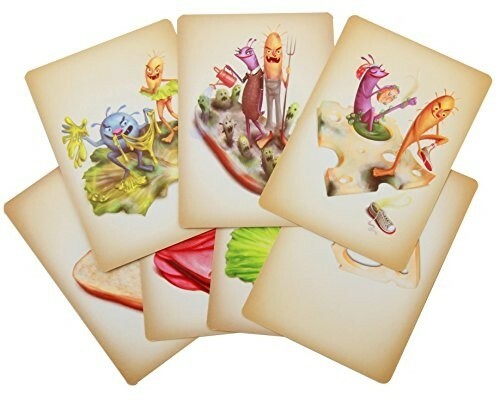 Fight the Oogies and build the perfect sandwich - A Card Game of Sandwich Building Fun. For 2 to 5 Players, age 4 and up. It takes an artist to build the perfect sandwich. 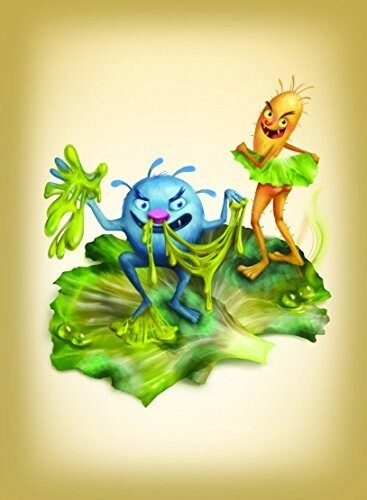 Can you be the first to collect and stack fresh ingredients into a hoagie masterpiece before the Oogies, a gang of pesky, ingredient spoiling creatures, destroy your fixings? 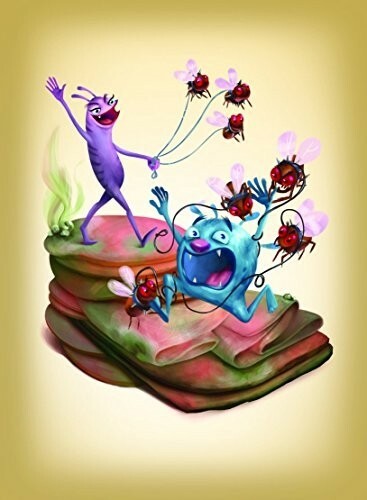 Hoagie matches players in a goofy kitchen adventure to create the perfect sandwich while spoiling other players' ingredients with the Oogies. 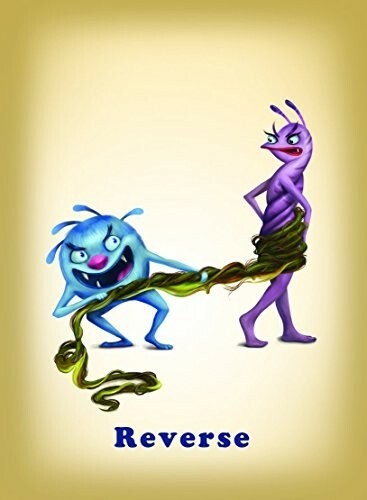 Gangrene Games creates easy-to-play, character-driven tabletop game experiences for players of all ages. 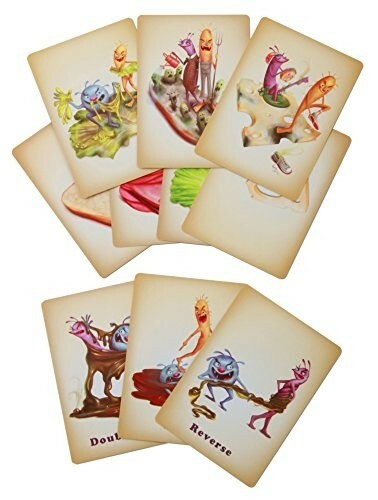 These whimsical, and usually mischievous, character driven games enable players to enter fun, fantasy realms with little effort. With easy-to-understand rules, players can be up and running quickly, from box to party in minutes. 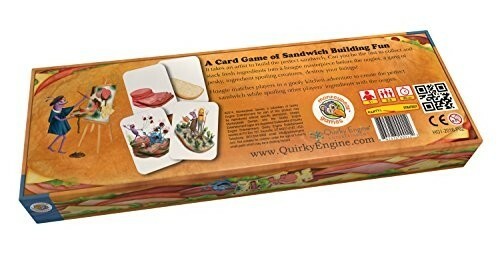 If you are looking for great card games for families, Hoagie, a sandwich building family card game is perfect. 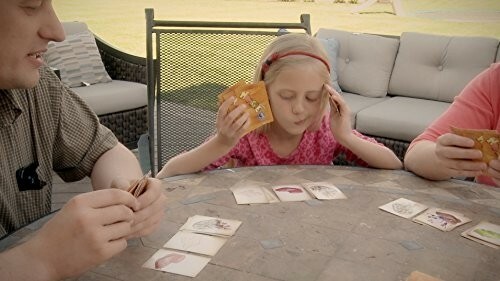 Card games for kids can sometimes be grueling for adults. At Quirky Engine, we seek to fill that gap by designing kids card games that keep the kids laughing while entertaining the adults. Family game night has never been so fun. 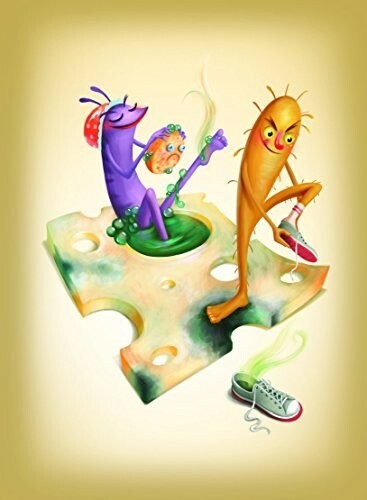 Hoagie is quickly climbing the family games charts and taking its place in the game closets of families looking for fun card games. Hoagie comes in first in the class of card games kids want to play again and again. With easy-to-understand rules, your family can be up and playing in minutes. There is a reason Hoagie tops the list of popular card games on the market today. Kid games should not only offer fun but a sense of education. Educational kids games like Hoagie help young children (4 and up) to recognize patterns and to form strategies.